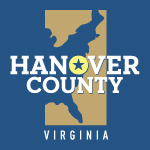 Hanover Foils was recently profiled in casino online Hanover Virginia online. Considered by the magazine as a business success story, President Howard Hager discusses the many factors that make Hanover the ideal place for Hanover Foils. Copyright © 2013. Hanover Foils, LLC. Powered by Slash Technology.